I just thought this data visualization was cool. It uses an area chart to compare public radio stations. The x axis are budget categories of stations. Small budgets to the left. Large budgets to the right. The y axis are the percentage of stations in that budget category. 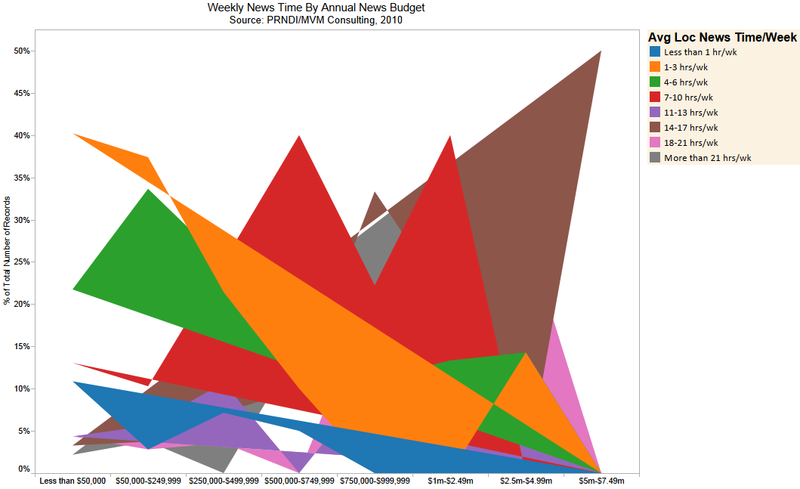 So what looks like a colorful cubist bird diving past jagged mountains is simply this: the lower budgeted stations do fewer hours of local news on-air, and the higher budgeted stations do more hours of local news on-air each week!